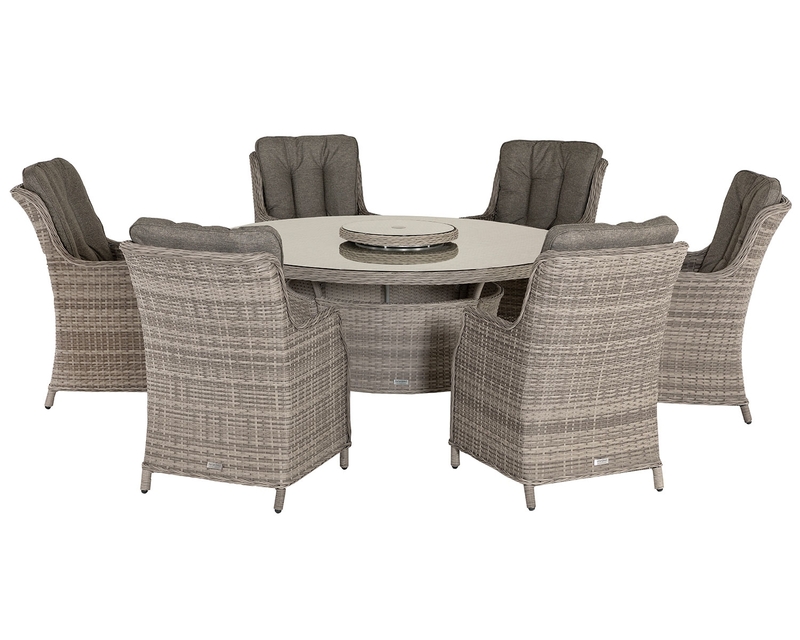 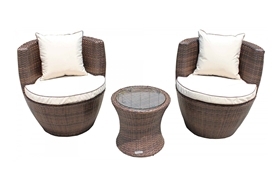 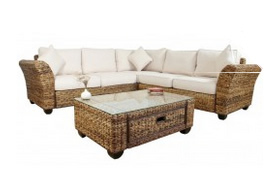 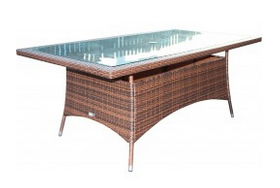 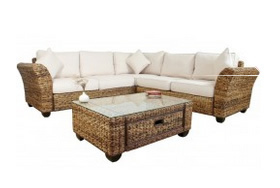 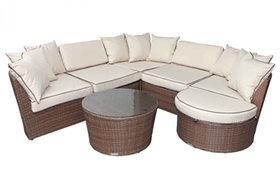 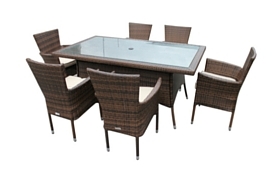 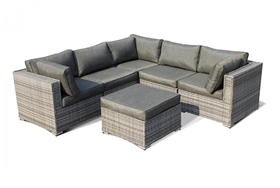 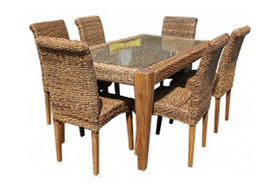 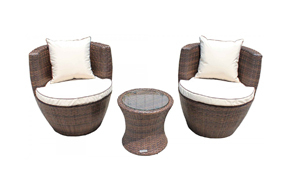 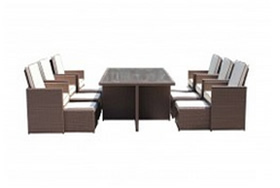 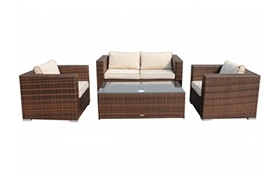 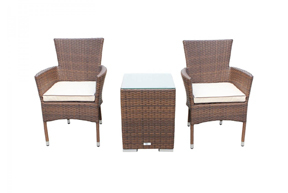 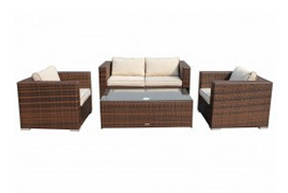 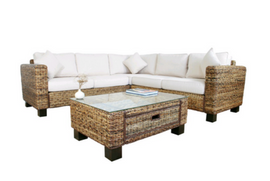 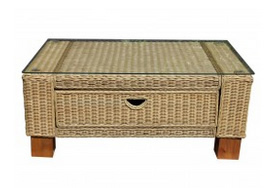 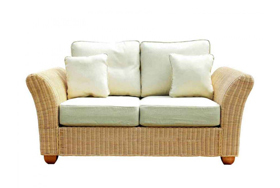 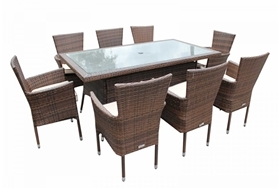 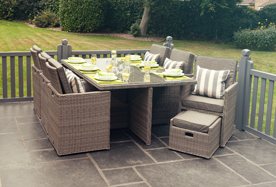 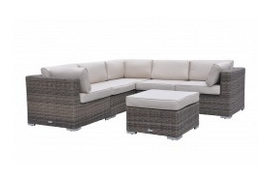 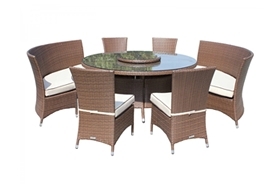 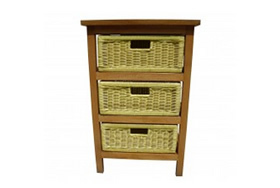 The design of this set is stunning, with the hand-woven rattan design truly looking impressive and unique. 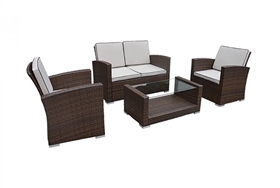 Owning this set is sure to set your garden apart from the rest as the undeniable sense of finesse that this set is sure to bring to your outdoor area is truly unique and distinctive. 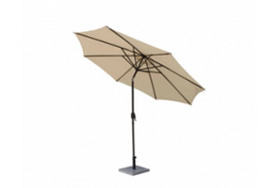 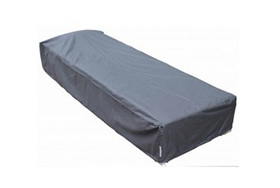 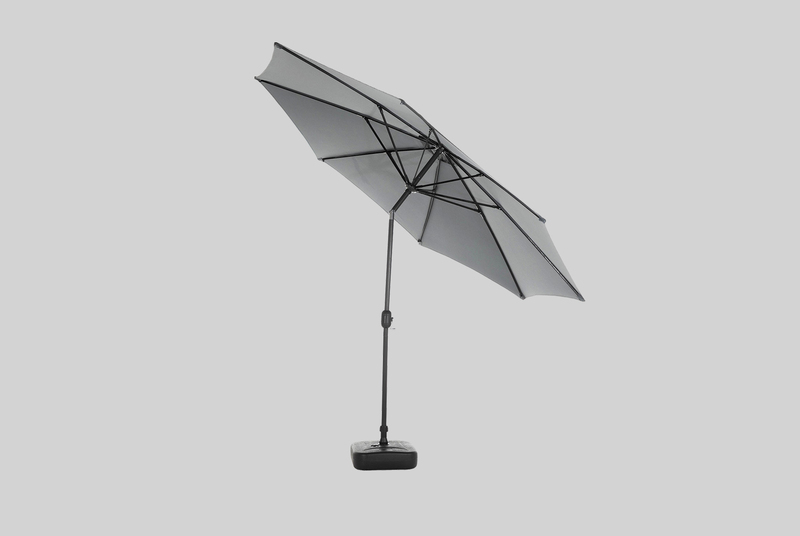 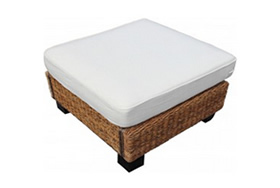 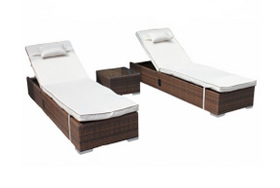 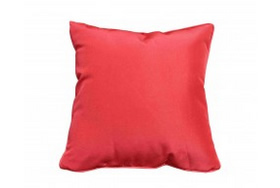 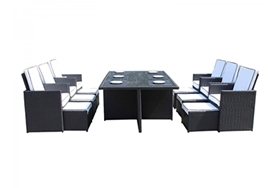 Along with this style also comes a prominent sense of practicality as this set is fully functional and very durable. 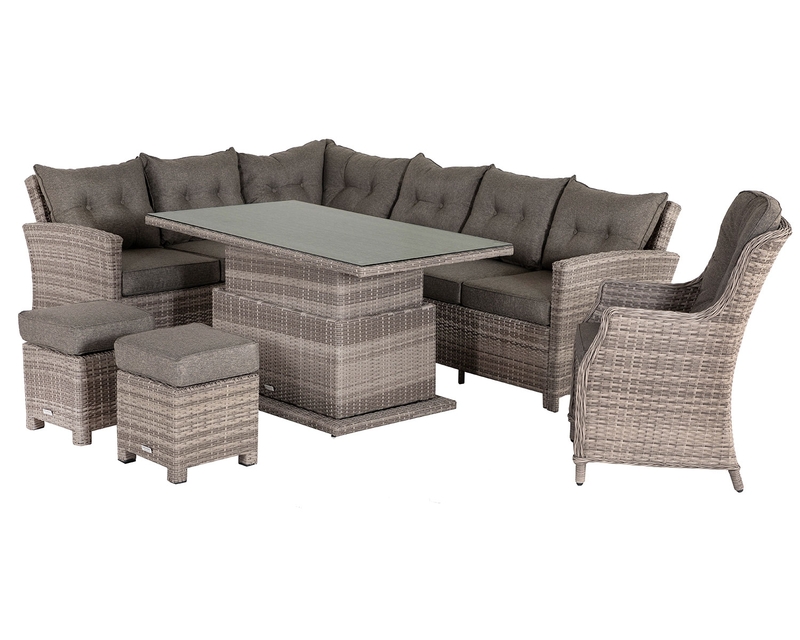 This set has been designed from the ground-up by our in-house teams who aim to provide a truly unforgettable summer dining experience. 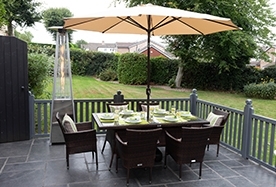 This set has been made with strong powder coated aluminium framing which helps to protect the set against rust build-up over a long duration of time, therefore keeping this set looking and feeling as good as ever. 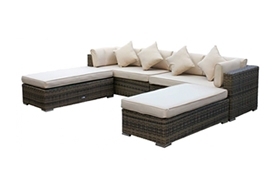 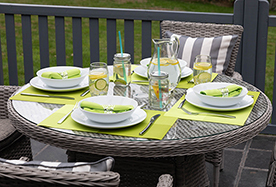 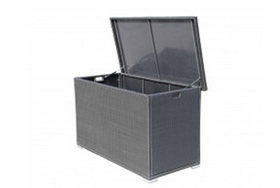 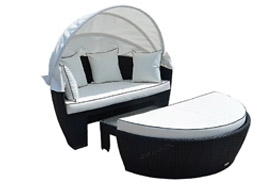 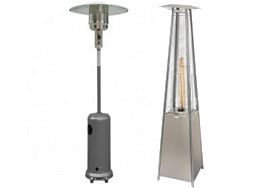 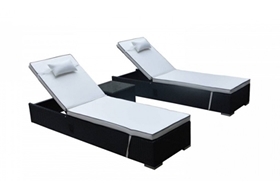 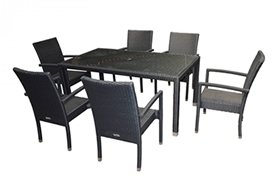 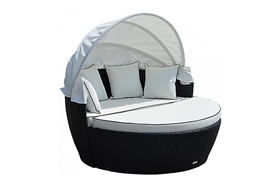 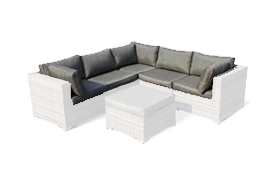 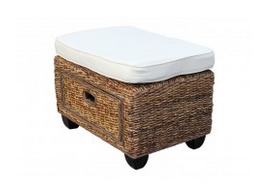 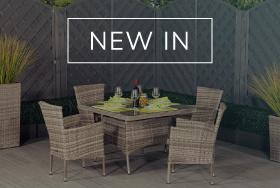 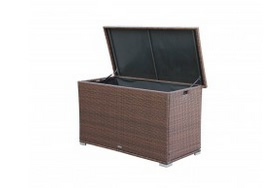 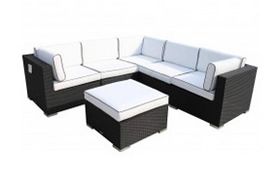 When purchasing this set you will truly feel as though your household/garden area has been elevated via a very real sense of sophistication and style. 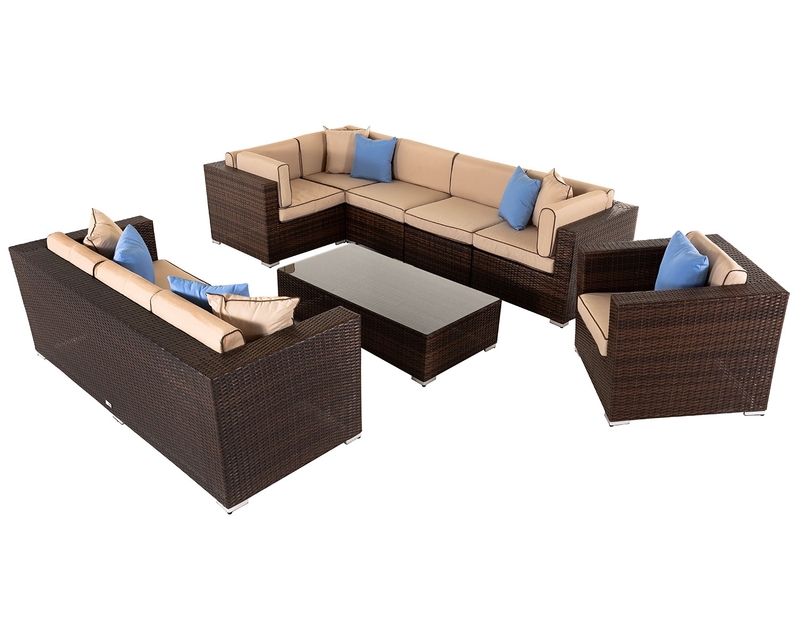 Because of this, it is paramount that this set continues to look and feel as good as it did since day one of purchase. 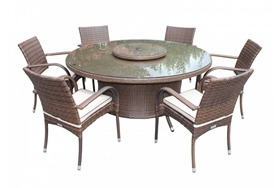 To ensure this we offer a 5-year structural warranty free of charge with every purchase. 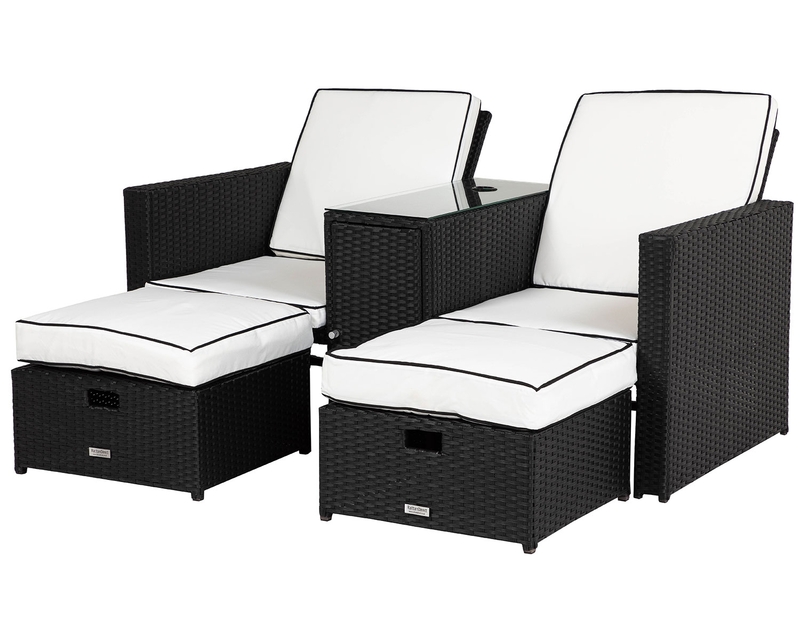 This will resolve any issues you have with the set, thus letting you get back to enjoying the set with minimal worries or fuss.